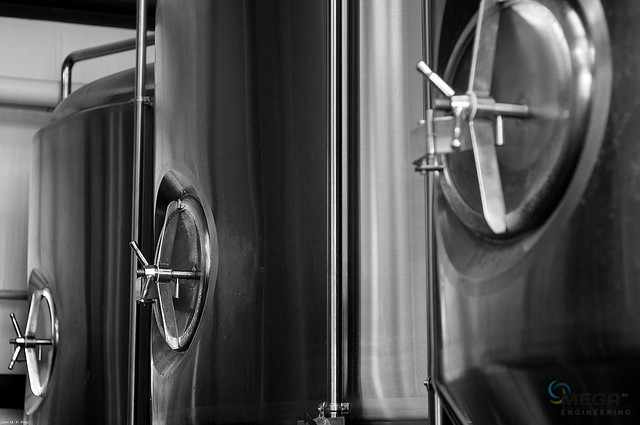 Now Brew the beer with your own recipe and produce fine beers with “Mega” Brewery Equipment’s. Customers now don’t have to worry about service after supply a process plant from other suppliers. 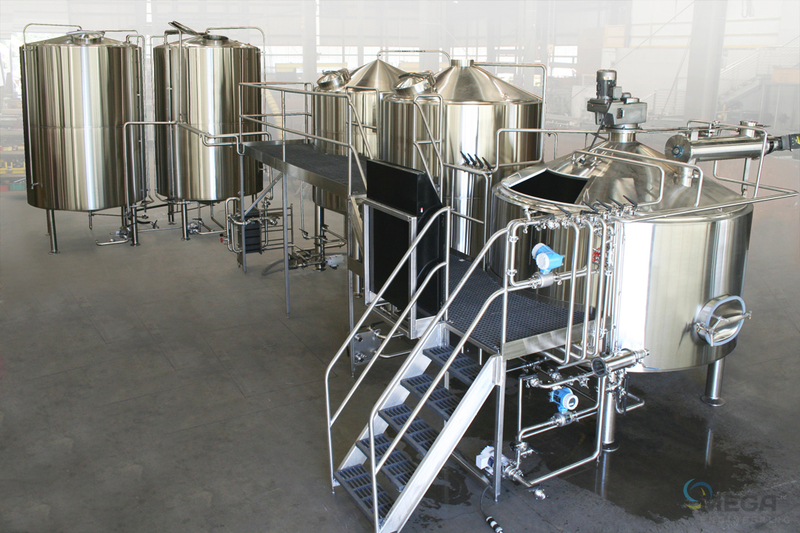 “Mega Engineering” offers complete solution for Micro Brewery with its process plants designed and built to latest technology. Customers can now rely on systems provided by “Mega”. Microbrew beer is a general term for beer produced in small, independent breweries covering the whole range of flavorful beer styles like lagers, ales, porters, stouts, fruit flavoured etc. We can design microbrewery plants of Two / Three vessel Brew House, Fermenters, Bright Beer Tanks, Chilling Unit, CIP Trolley, Filtration Unit, Air Compressor, PRV etc and it is HMI / PLC based Semi-Automatic and Automatic Operation. The temperature of a water/starch mixture (usually malted barley) is raised to activate enzymes which break down the starch into fermentable sugars. The mash is rinsed through a porous barrier called a lauter-tun that allows the fermentable liquid to pass, but not the grain. This liquid is called the wort. The wort is then boiled to steralize it, and remove the water so that only the sugars and other components remain. Hops are added at this stage. The longer the hops boil, the more bitterness they add, but the less flavour they add. The boiled wort is cooled and put into a fermentation vessel along with yeast. The mixture is allowed to ferment anywhere from a week to a month. Yeast and sediment settle, and the resultant clear liquid is the beer. Beer is put into the vessel in which it will be served. It can be carbonated artificially It can also be carbonated naturally by adding small amounts of fresh wort, sugar, and/or yeast. Complete microbrewery installation on-site & Commissioning, Personnel Training, Our brew master’s assistance on-site, including initial brewing’s. Plant upgradation / Capacity enhancement. Beer is an alcoholic beverage made by brewing and fermentation from cereals, usually malted barley, and flavored with hops and the like for a slightly bitter taste.